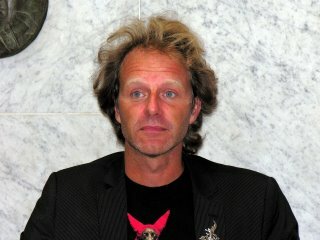 (born 2 December 1968 in Blackeberg, Sweden) is a Swedish writer, mostly of horror novels and short stories. His debut novel Let the Right One In, a romantic, social realistic vampire horror story, enjoyed great success in Sweden and abroad. Handling the Undead was published in 2005 and involved the rising of the dead as zombies, referred to as the "re-living" by Swedish authorities, in the Stockholm area.